Almost MOP6 billion (US$743.21 million) in capital was invested in the Macau economy by the gaming sector last year, according to data released by local government’s Statistics and Census Service. The recently-released data showed that about MOP4.09 billion – some 68.2 percent of the total – was capital that originated from outside Macau, i.e., foreign direct investment. The proportion was the same as the year before, official data indicated. Last year, Macau recorded a total inward direct investment of MOP20.2 billion, of which 76.3 percent originated from outside Macau. Of the 2,808 enterprises across all of Macau’s industries that registered inward direct investment last year, 1,700 had capital from Hong Kong, 755 had capital from mainland China and 203 had capital from the British Virgin Islands, the statistics bureau data showed. The remaining 150 businesses received their investment from elsewhere. Macau, mainland China and Hong Kong are considered independent economies for the purposes of the report. Capital investment in the gaming sector was the number two contributor to Macau’s total direct investment last year. The banking sector was the biggest-single contributor, delivering MOP9.97 billion in investment, and about 77.4 percent was considered foreign capital. 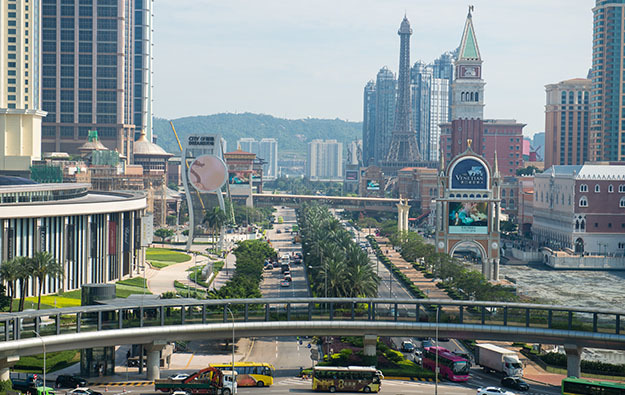 The equity capital of enterprises in the hotels and restaurants sector in Macau with inward direct investment amounted to MOP290 million last year, 87.2 percent of it from outside Macau – a proportion marginally greater than the year before. The cumulative stock of inward direct investment contributed by the gaming sector declined in year on year terms, but after-tax income derived from that investment in 2017 rose by 34.5 percent – reversing the decline registered in 2015 (-47.5 percent) and 2016 (-6.4 percent).